The Telus Convention Center in Calgary is the premier place to exhibit in the heartland of the prairies! Close to the bars and restaurants of 17th ave, and the Riverwalk, you won't be at a loss for a good time while promoting your business. Use our premier selection of trade show solutions and exhibition displays to 'grab the bull by the horns' in the home of the Stampede! For small starting businesses and even larger enterprises, trade show displays offer a compact floor space in which a company can effectively market its products and brand. Where is the Calgary Convention Center Located? The Telus Convention Center is located at 120 9 Ave SE, Calgary, AB T2G 0P3. It is located along 9th Ave, near the famous Olympic Plaza and is an excellent location for world class exhibitions. Trade show displays are important for establishing a professional and reliable business presence. They allow for businesses to present themselves to new customers and also to interact with a network of other vendors and distributors. Though investing in floor space at a trade show and planning an appropriate display may seem expensive and tedious, ultimately participating in these business forums is a worthwhile investment. When deciding to invest in a trade show display, it is important to have smart goals in mind and to work backwards in your planning leading up to the event. What specific goals does your company hope to achieve by displaying its brand or products? Is the end goal to network with other businesses, to promote sales, or to engage with potential customers? Effectively designing your trade show display to reach your goals will allow businesses to actively reap the benefits of their investment. Ultimately, investing in a trade show display requires a lot of thought and foresight. Nonetheless, the benefits of this small ten square foot space can be directly measured and observed when appropriately planned and implemented. It doesn’t matter if it’s the first time a business is putting itself out there, or if the business investing in the trade show display already has an established brand and presence. 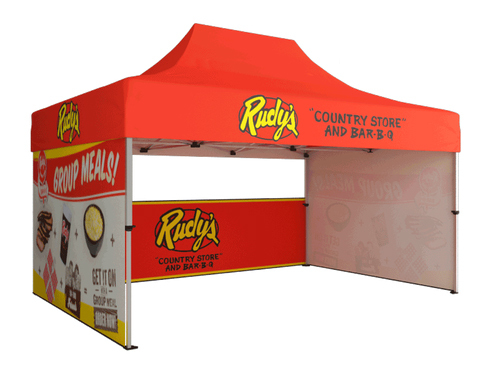 Promotional booths afford businesses the benefits of communicating their brands to consumers, investors, and even competitors. Simultaneously, trade show displays are beneficial in that they serve as essential experiences for testing, gauging, and reassessing all of the variables that factor into owning a successful business.